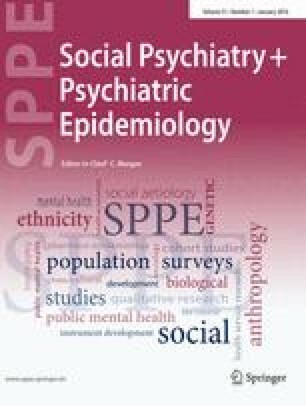 Background: This study aimed to examine the patterns of association between cannabis use, and anxiety and affective disorders, in the general population. Method: Data from the Australian National Survey of Mental Health and Well-Being, a representative survey of Australians aged 18 years and over, were analysed to address the following questions: (1) is there an association between cannabis use, DSM-IV abuse and dependence, and DSM-IV affective and anxiety disorders; (2) if so, is it explained by: demographic characteristics, levels of neuroticism, or other drug use; and (3) does the presence of a comorbid affective or anxiety disorder affect the likelihood of treatment seeking among cannabis users? Results: There was a moderate univariate association between involvement with cannabis use in the past 12 months and the prevalence of affective and anxiety disorders. Among those with DSM-IV cannabis dependence, 14 % met criteria for an affective disorder, compared to 6 % of non-users; while 17 % met criteria for an anxiety disorder, compared to 5 % of non-users. These associations did not remain significant after including demographics, neuroticism and other drug use in multiple regressions. Conclusions: Cannabis use did not appear to be directly related to depression or anxiety when account was taken of other drug use. However, the association between heavier involvement with cannabis use and affective and anxiety disorders has implications for the treatment of persons with problematic cannabis use.